Welcome to Sharp EngineeringProviding Complete Packaging SolutionsThe company was established in the year 2004. We serve to FMCG, Chemicals manufacturing &Pharmaceutical industry. We are well known in the market for our adherence to quality standards, capacious warehouse & widedistribution network. Our product list includes Industrial Strapping, Tapping & Shrink Sealing Machines. 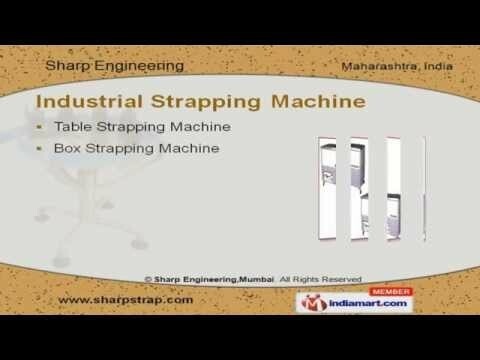 We provide premium grade Industrial Strapping Machines. Our Fully & Semi Automatic Strapping Machines are a class apart. We are specialized in manufacturing Tapping Machines. Shrink Sealing Machines are some of our best selling products. Our Industrial Conveyors are fabricated using premium grade raw materials.